This is the PRO half of PRO/CON pair of columns talking about expectations for the upcoming season of The Walking Dead beginning tonight at 9 p.m. on AMC. Unless you are on Dish Network. In that case you’re screwed. There is to much going for it. Too many brilliant ideas. Too much drama. The Walking Dead finally gets out of the woods tonight. Not only because our characters are finally off that God forsaken farm where all character consistency and plot momentum went to die but because of where they are headed. Without getting too specific into spoilers, the source material of the first two season has its moments but is comparatively light compared to the books that inspire this season. Drama is created from and by inspired and interesting concepts and conflicts. Specifically dealt with this season are the follow: the price paid for security, the damage this disease has done to our culture, who we define as a threat and our first glimpse at “normalcy” are themes dealt with in delightful depth. Compare that to the second season when the major overriding theme appeared to be “are we alive” and “who’s making a stink face”. The source material for those seasons, although different where by and large chase and regroup stories without much beyond the overarching survival themes of the series. 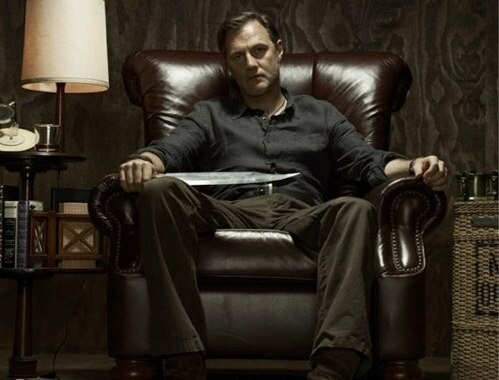 Specifically, The Governor is too good of a character to not get SOMETHING compelling from. I really enjoyed the casting of Phillip Blake and what we’ve seen of the character so far. He has the face of a man you can trust. The kind of man who would take the any loss from his flock very personally. They’re also returning Season 1’s Michael Rooker as Merle Dixon. Scenes find it very difficult to be boring when you add a coked up racist with a vendetta to the mix. Not to mention what that means for his brother Daryl, who’s found a life for himself as a leader amongst our survivors. When you add up the potential, it seems impossible to say this season can’t be more entertaining than the last. And maybe, with a little luck, it’s really special. The ingredients are there, and no matter what my apprehensions I’m eagerly awaiting digging in.